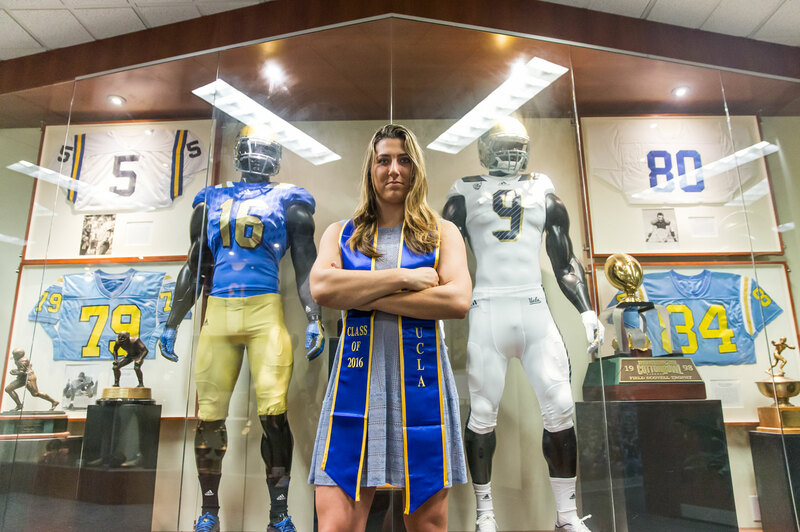 Kaitlin Miller recently found herself as a quarterback on a UCLA football field, her adrenaline pumping, defenders rushing towards her vying for a sack. For a few moments, she was an athlete again. Then she took the goggles off. She returned in the physical world, with a video camera in the background and UCLA football coach Jim Mora to her side. She snapped back to the present, where she was an aspiring sports broadcaster doing a package about how athletic programs were starting to use virtual reality technology in their training exercises. It was a long way from where she started out her UCLA career. Miller, a fourth-year English student, came to Westwood four years ago as a promising Division I rowing recruit from a small town called Manhasset off the coast of Long Island. She yearned for something different from the wealthy homogenous hamlet that she called home. Athletics turned out to be her ticket to Southern California. A three-sport athlete in high school she discovered rowing during her sophomore year when a coach offered her the chance to go to any school if she joined team. Years of intense conditioning and two grueling summers of six-hour-a-day practices later she became one of the best rowers at her high school and in the country, with her boat sailing to 1st place at Nationals in their division. Her first offer letter came from UCLA and she fell in love with the campus almost at first sight. 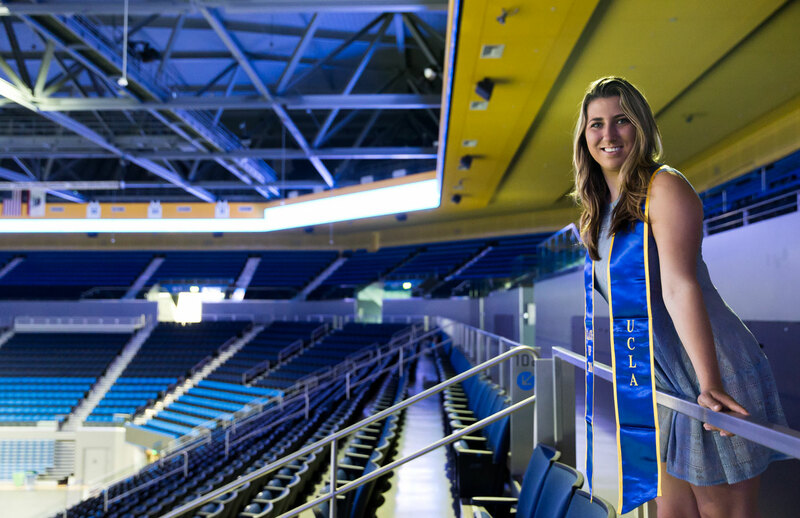 Miller started out her career as a Division I rower, growing close to her teammates and other UCLA athletes until she was diagnosed with Compartment Syndrome. The condition left her hands gnarled, shaking and unable to grasp a water bottle, let alone pull an oar. After several rounds of physical therapy and advice from doctors her dream of being a collegiate athletes ended soon after she came onto campus. The way she transitioned was by taking advantage of all the opportunities that a big school had to offer, she joined a sorority and got more involved in student media. 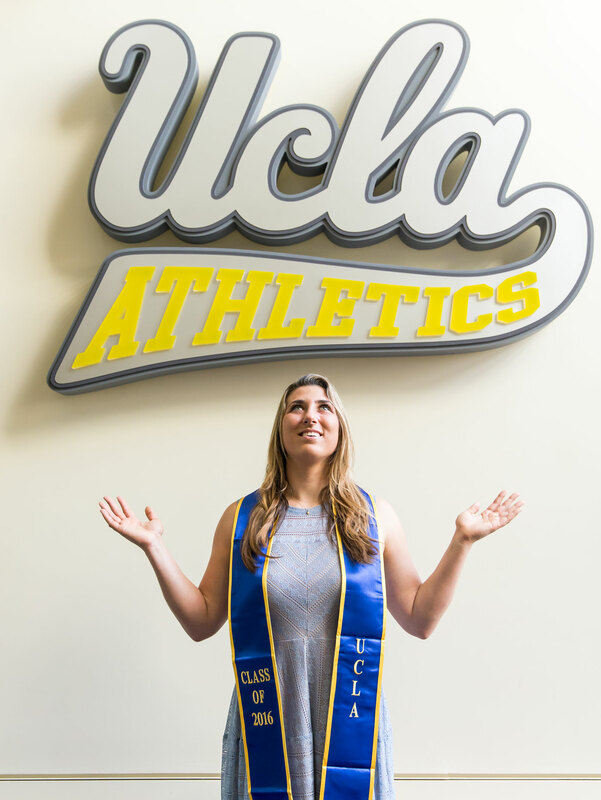 And, armed with a prenatural dedication to UCLA athletics and the unwillingness to take “no” for an answer, she found herself in the J.P. Morgan Center knocking on office doors and asking for a position. “When I have a goal I become obsessed with it. It’s always on my mind,” she said. “It’s probably a little unhealthy,” she added with a laugh. Her persistence eventually garnered her a gig in the communications department as an events and media intern, where she discovered her love of sports broadcasting. That position led to opportunities at the Pac-12 television network and eventually at Fox Sports on the production team. After her stint at Fox Sports, she got the idea to host her own sports show and again she decided not to take “no” for an answer. 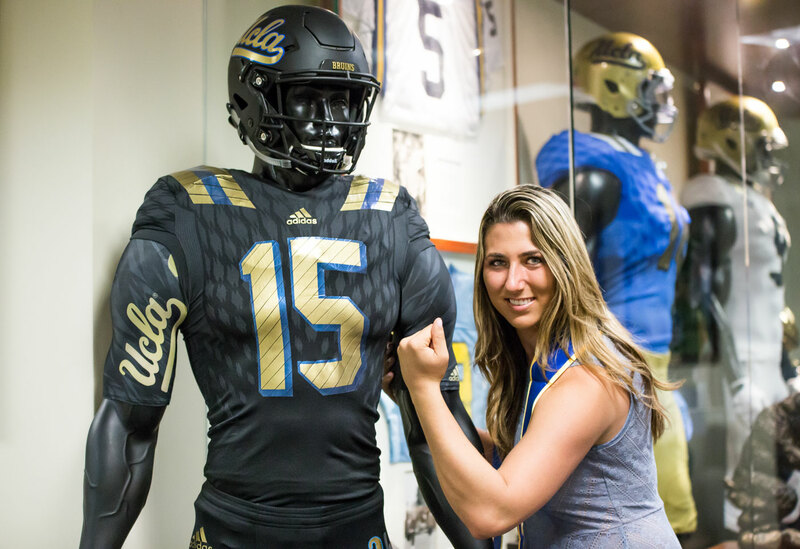 Her efforts – as well as the connections she made in UCLA athletics – led to the K & A show where she has interviewed scores of athletes and coaches. Often, when going through the many hats she’s worn as a student during her four years at UCLA, she happens upon a public speaking class she took during her first year in college taught by Professor Dee Bridgewater.